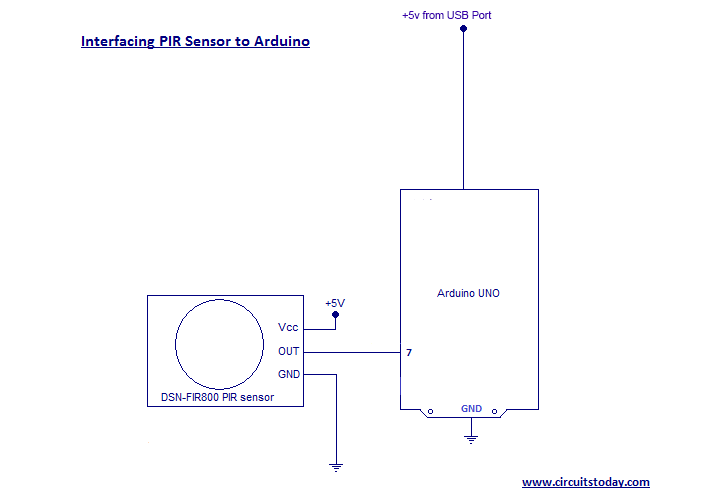 In this article, we are going to learn how to interface/connect PIR Sensor or Passive Infrared Sensor to Arduino. 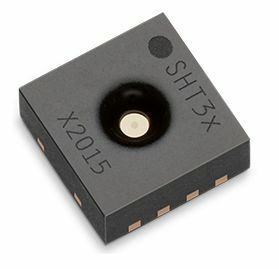 We have written a tutorial on how to interface PIR sensor to 8051 previously in CircuitsToday! So a PIR sensor which is also known as Pyroelectric sensor or Passive Infrared Sensor is basically an electronic sensor employed in motion detecting applications. 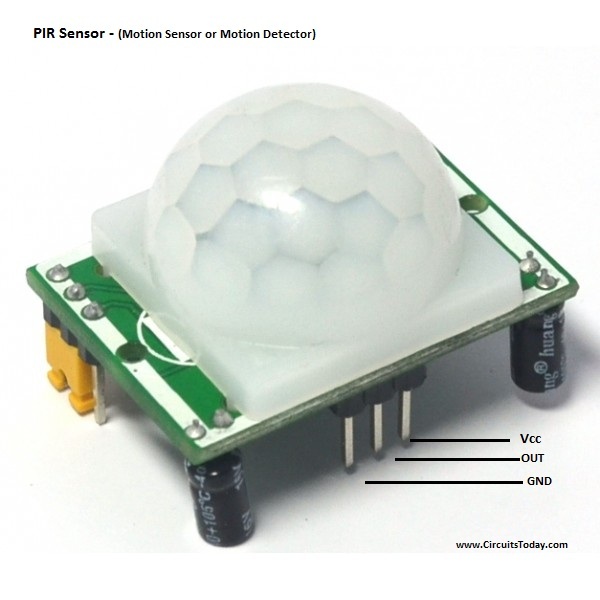 A PIR sensor detects or measures IR (Infra Red) radiations emitted by any object inside its field of view. A PIR sensor is generally known to the world as motion sensor or motion detector. We can actually build motion sensors or motion sensing lights we get on market with the help of Arduino and PIR sensors. So this tutorial is also a beginning guide to build motion sensor or a motion detector based on arduino. Lets learn how to interface a motion sensor/detector to arduino! Lets brief how a PIR sensor operates! In a practical aspect, all objects emit heat energy in the form of radiation. The theory behind this concept is that all objects with a temperature above absolute zero ( absolute zero is -273.15 degree celsius or zero kelvin) emit heat energy in the form of radiation at infra red wavelengths (invisible to human eyes). These emitted infra red radiations can be detected with the help of electronics and this principle is employed in the design of a PIR sensor. A PIR sensor do not emit any kind of radiation for detection purposes but they just measure the infra red radiation emitted by other objects inside its field or range of measurement.